Wonder Woman #100 "The Challenge of Dimension X" - Wonder Woman competes against an other-dimension counterpart to determine the better Wonder Woman, "The 100th Anniversary of Wonder Woman" - Amazonian historians record Wonder Woman's "hundredth adventure"
Wonder Woman #293 "Judgement in Infinity - Part 3: Countdown to Chaos" - Death is defeated on Earth-I (first and only appearance) and the Adjudicator is revealed to be escaped asylum inmate (albeit at a cosmic level) and defeated. 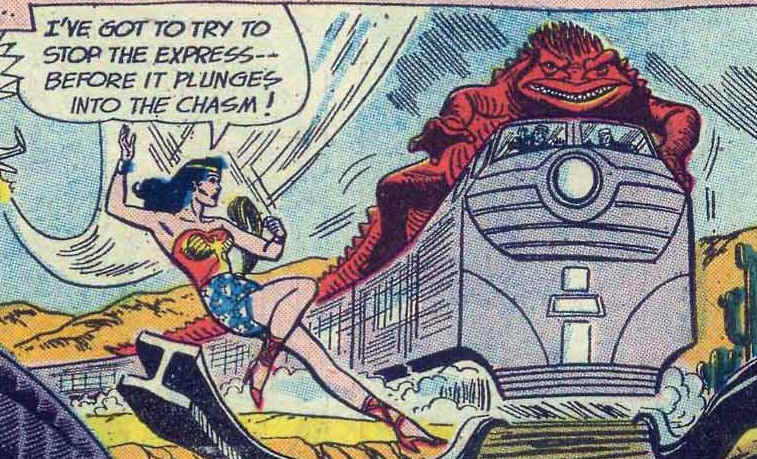 NOTE: Not included in this index are stories related to the Golden Age Wonder Woman or the Wonder Girl/Wonder Tot stories. The former will be listed in the JSA Fact File material and the latter can be handled be someone with a stronger stomach than I.